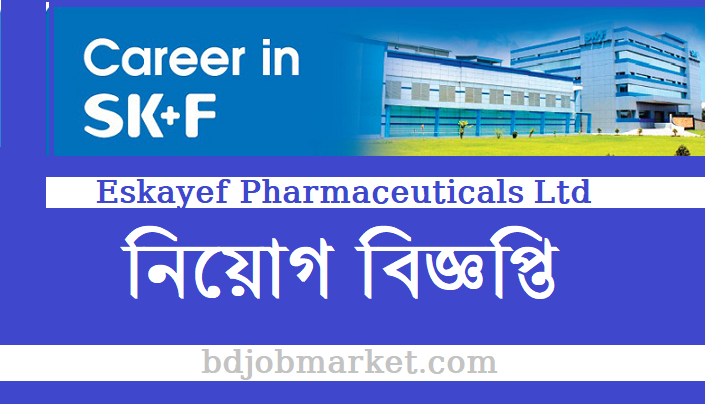 Eskayef Pharmaceuticals Job Circular 2019. Sk+F pharma is one of the topmost Pharmaceuticals ltd company in Bangladesh. 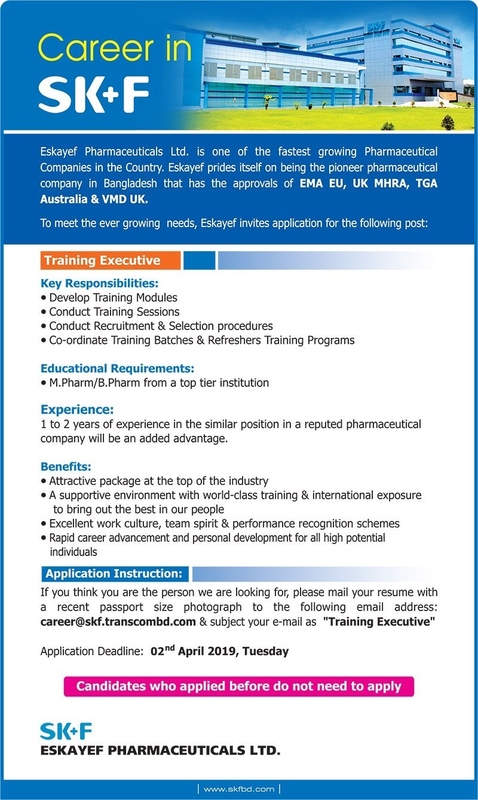 This Pharmaceuticals company is giving a great opportunity to the job seekers. If you want to make a good career in pharma job sector then don’t miss the opportunity.